3 CAR GARAGE. NO HOA. Solar Panel (Owened, w/25 year mfg warranty). Spectacular home with truly stunning updates including NEW interior paint. New chandeliers, New Recessed lighting. HVAC, Water heater, Water filter system in Kitchen, Dishwasher, Reflective foil insulation in Attic & Garage are all replaced within 5 years. Water Softener, Alarm System. Formal Living, Dining, Family room. Spiral Staircase, Vault Ceiling, Open Kitchen w/ Large Island, Double Ovens. Wet Bar. Huge Master Suite includes a cozy Fireplace, Manicured yards w/lush landscape, Prof. Hardscape & Pergola. 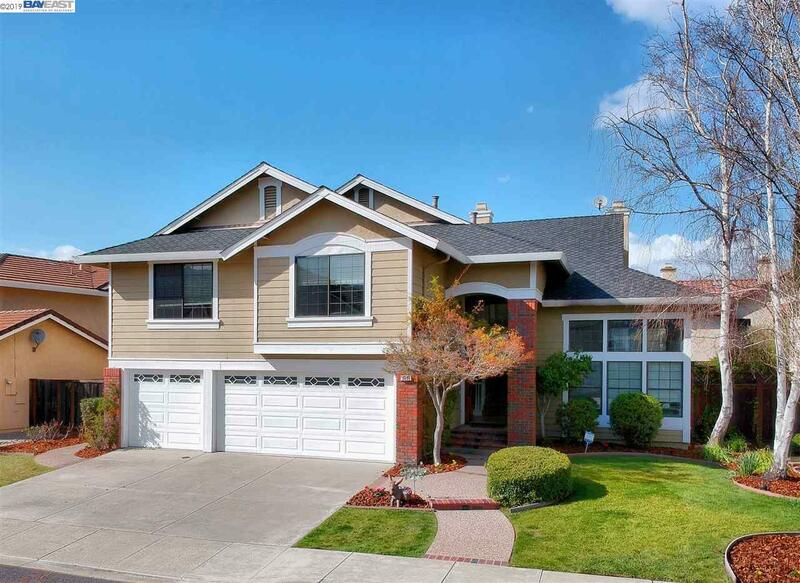 Gorgeous Home in Pleasanton's Highly Desired Ponderosa Neighborhood. Walk to Parks, quick & easy access to I-580 & 680, BART, ACE Train, Parks, Fairgrounds & Downtown. Highly Rated Pleasanton School District.